New Delhi: The Supreme Court Wednesday held Anil Ambani, chairman of the Reliance-ADA Group, guilty of contempt of court for not paying Ericsson India its dues despite the court’s earlier orders. The apex court Wednesday directed that a sum of Rs 453 crore be paid to the Swedish giant within four weeks, failing which, the younger Ambani brother could face imprisonment for three months. Along with Ambani, the court also held two other directors — Reliance Telecom chairman Satish Seth and Reliance Infratel chairperson Chhaya Virani — guilty of contempt. The court has asked each of them to pay a fine of Rs 1 crore, and failing to do so would lead to imprisonment of one month. 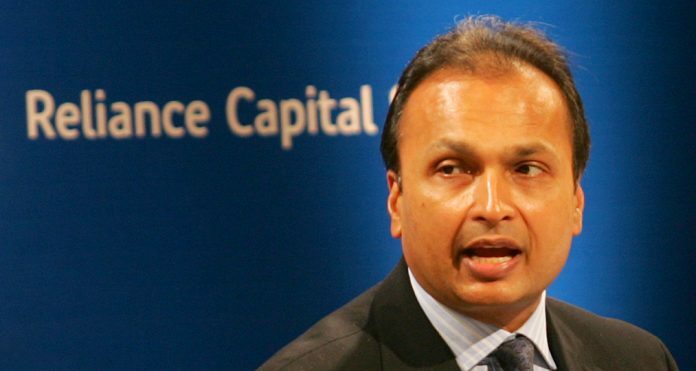 Reliance Communications (RCom) has said it will comply with the court’s orders. ThePrint takes a look at the case that led to this, and why the court has decided Rs 453 crore as the amount to be paid. In 2014, Ericsson India entered into a seven-year business contract with RCom to operate and manage the latter’s wireline and wireless networks pan-India. However, the marriage was short-lived. Debt has been piling up for Ambani’s empire. In 2018, the overall debt was about Rs 45,000 crore, up from about Rs 25,000 crore in 2009-10, according to an Economic Times report. The entry of multiple players, including older brother Mukesh Ambani’s Reliance Jio, in the telecom sector has dented RCom’s marketshare. In 2017, RCom announced that it had signed an agreement with Reliance Jio Infocomm for the sale of wireless spectrum, towers and fibre optic cables for an estimated Rs 23,000 crore. From 2018, problems between Ericsson and RCom magnified, and the two have been knotted in a bitter fight over non-payment of dues. The Swedish major knocked the doors of National Company Law Tribunal (NCLT) and challenged RCom over non-payment. On 5 April 2018, the Supreme Court passed an order on cross appeals moved by RCom and the State Bank of India-led consortium of 24 banks against the NCLT order staying the sale of assets of RCom to Reliance Jio. Meanwhile, the debt-ridden RCom’s attempt to sell the assets to Reliance Jio hit a roadblock after the government said either of the two companies would have to undertake a guarantee for previous liabilities. Legal experts say the amount of Rs 453 crore has to be paid immediately to absolve Ambani of contempt. “The Supreme Court’s order to pay Rs 453 crore stems from the undertakings given by its chairman, which have been violated,” said Manoj Kumar, managing partner at corporate law firm Hammurabi and Solomon. Independent lawyer Deepak Biswas added that the amount may have been reached at through basic calculation of either interest or cost. Ambani, who was ranked as one of the 100 richest Indians in 2018 by Forbes magazine, has been hit by a host of controversies over the last few years. Apart from RCom, Ambani has multiple businesses, including in the insurance and defence sectors. Recently, he has been under the scanner for being France defence major Dassault Aviation’s partner in the controversial Rafale fighter jet deal, with opposition parties led by the Congress alleging he was handpicked by the Narendra Modi government despite having no experience in the industry. The charge has been flatly denied by the government and Dassault. In 2011, Ambani was quizzed by the CBI for his alleged association with Swan Telecom Pvt Ltd, which was accused in the 2G Spectrum allocation case of receiving favours from former union telecom minister A. Raja. The Comptroller and Auditor General (CAG) report on 2G spectrum allocation suggested that the ADAG benefited substantially from the arbitrary licencing exercise in 2008.